Chuck Langdon and Lee Shephard continued their series on LEGENDS of EARLY BROADCASTERS on Fairfax Cable Television's OUT OF THE PAST program, channel 10's longest running show, with their special guest BILL TRUMBULL. Trumbull is best remembered for the TRUMBULL AND CORE show the popular afternoon drive program that ran for over 20 years on WMAL radio. Washingtonians still remember features of that show like 'Boring Facts," Jackie Bill, the fast talking stand up comedian (Bill Trumble of course), and the spectacular annual GROSS NATIONAL PARADE down Georgetown's main street. Trumbull is the second WMAL paersonality to be featured on OUT OF THE PAST. 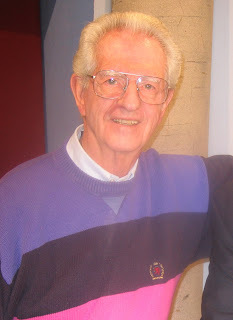 Former all night personality Bill Mayhugh was the first to be featured. Airdates are scheduled for several showings in February.